Ngong Ping 360 which is located in Lantau Island has two Cable Car Stations, the Lower Terminal in Tung Chung and the Upper Terminal where you find the Big Buddha and Ngong Ping Village. If you are coming from the city, getting to the Ngong Ping Lower Terminal is easy with the MTR. First head over to the Tung Chung MTR Station which is at the very end of the Yellow line of the same name. 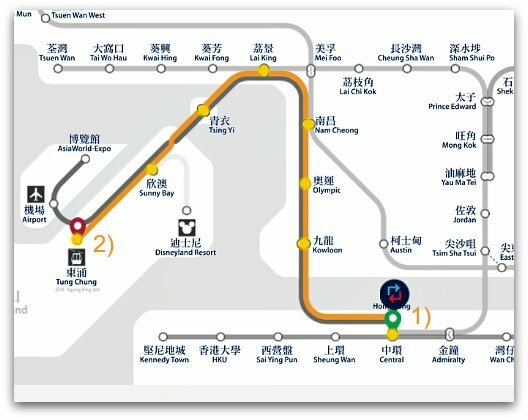 You can get on the Tung Chung line from Central/Hong Kong Stations and cruise to Tung Chung MTR station without having to change. 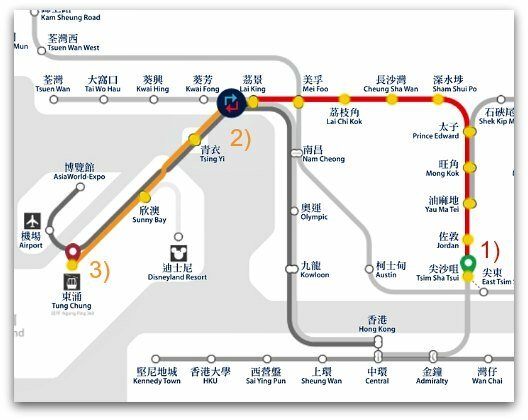 1) Take the Tung Chung Line (Yellow), from Hong Kong Station, you can get to Hong Station from the Island Line through Central Station, it is a five minute walk. 2) Arrive at Tung Chung Station. From Tsim Sha Tsui there is only one change involved. 3) Arrive at Tung Chung Station. And remember you can use your Octopus Card to pay for the fare and get a small discount. 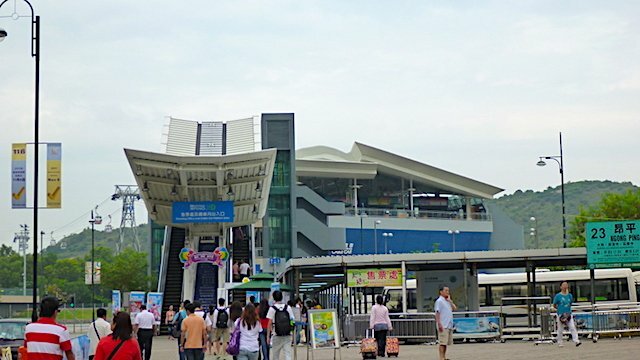 Once you arrive at Tung Chung Station, the Ngong Ping Cable Car Terminal is a short walk accross. Everything is well-marked, you cannot get lost. You really can't miss the huge station. Inside you find the ticket office and the Cable Car departure platforms. Likewise, if you are taking the Ngong Ping Cable Car from the Upper Station at the Village, there are very clear signs to point you in the right direction. Lines and waits for tickets and the cable car can be long. Try getting there early in the morning before the rush of tours and everyone else arrives, otherwise lines can be as long as an hour or more. You can also buy tickets online and skip the ticket line, see below. There are private one-way transfers from your hotel to Tung Chung where you take the Ngong Ping Cable Car. Leave the arrangements to the guides and enjoy a fantastic day in Lantau Island that will include the Ngong Ping Cable Car, Giant Buddha, and Tai O Fishing Village among other attractions. No lines, no waiting, no looking for the right train/bus/ferry... what could be easier? Ngong Ping 360 Cable Car Ticket Prices - Can You Get Discount Tickets? There are Standard Cabin and Crystal Cabin prices. You can consider riding the Crystal Cabin one way and the regular cabin on the return trip or vice versa. There is a VIP entrance for the Crystal Cabin and if the line for the regular cabins happens to be too long as it often is in the busy times, riding the Crystal Cabin is definitely an advantage to skip the wait. The Ngong Ping 360 travel pass can save you money if you are also planning on taking the Airport Express. The pass includes a round-trip ticket on the Ngong Ping Cable Car, the Airport Express and unlimited travel on the MTR for as low as US$56 for Adults and US$42 for children, you can choose a 1-day or 3-day MTR pass. Buy it in advance before you arrive and skip the ticket lines! 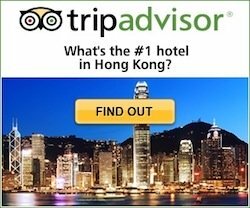 »» More Info and Booking Hong Kong Travel Pass. Discount tickets for both the standard and crystal cabins are available online through Klook.com, pre-book and skip the ticket line!